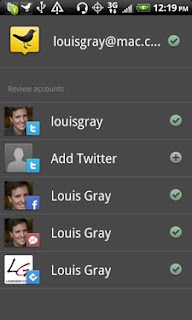 In the two years since TweetDeck first launched on the desktop, it has set the standard for multi-functional multi-account Twitter-centric applications, bringing the concept of columns, grouping and integrated search to what had previously been a bland market of simple apps. With the product's success, we saw the metamorphosis of Seesmic from a video comments company to one that has gone head to head with TweetDeck on practically every screen, even as the two saw focused effort from Loren Brichter on Tweetie pass them by and become the official Twitter application from the microblogging mothership for both the Mac desktop and the iPhone. 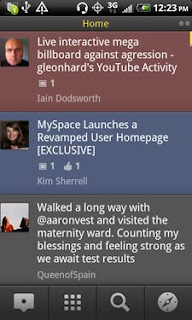 Now, the two are competing for visibility on yet another screen - that of the fast-growing Android platform, and unlike previous battles, which usually saw TweetDeck innovating first, it was Seesmic who got there first - in a big way, going live on Android and BlackBerry back in November of 2009. Tomorrow, TweetDeck will officially launch the first iteration of its Android product on the Android Marketplace, and those who prefer it will once again have that choice. 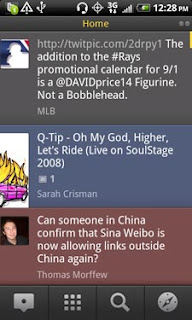 As Twitter quite visibly has filled holes in its lineup with the addition of Tweetie, both TweetDeck and Seesmic have positioned themselves as the more robust alternatives, providing support for not just Twitter streams, but also Facebook, Google Buzz, LinkedIn and Foursquare, depending on the platform. Seesmic's Android app, so far, in the absence of an offering from TweetDeck, has been my choice, thanks to its integrated multi-account and multi-service support - something Twitter's native app simply won't do. Now, for Android, both applications will allow you to view streams from multiple sources, and update multiple accounts simultaneously. 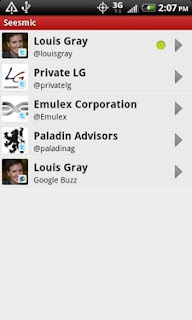 But where TweetDeck and Seesmic differ is that Seesmic's activity is very hierarchical. You view one of your accounts at a time, and go back to the top level to see other accounts, while TweetDeck is looking to "mix" the streams with updates from all different sources in a single column. 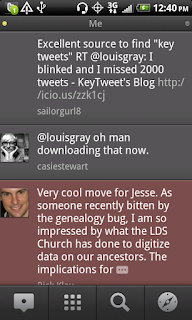 Updates display in TweetDeck in different colors depending on their source. 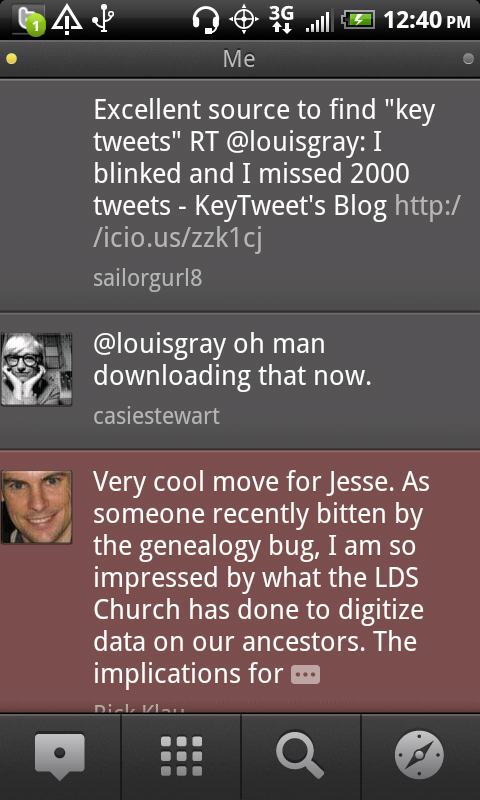 Gray updates are from Twitter, Red are from Google Buzz, Blue are from Facebook, and Aqua updates are from Foursquare. Now, you can see all these in one place. Also true to TweetDeck's background is the option for you to swipe right or left and see more specific "columns", including a new one called "Me", which captures mentions for you across multiple networks, including Facebook comments and likes, as well as Buzz updates on your content. For somebody who needs that mixing of updates across networks on a single mobile screen, TweetDeck will be the best option. But the early version, which I have been using all day, definitely feels brand new, while Seesmic's offering is more stable and feels easier to use - no doubt the product of having been publicly available on Android for more than 8 months. 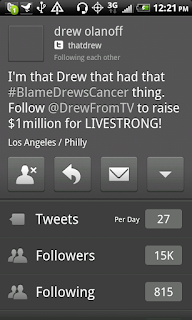 TweetDeck's Android launch has been much-awaited, and its integration of a column for "Me" is interesting. The product also offers deeper integration with Foursquare, tapping into venue details for check-ins. 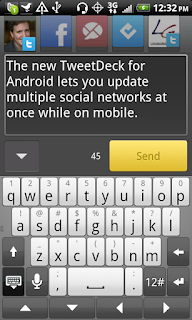 For TweetDeck addicts, the introduction does not come too soon, even if Seesmic, today, is a stronger offering. This should be a fun space to keep an eye on over the next several months.